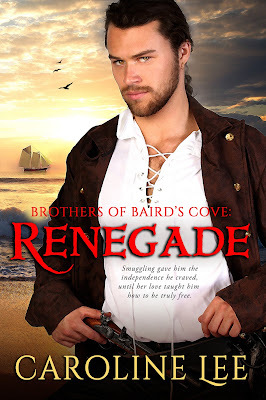 Brothers of Baird’s Cove: Renegade by Caroline Lee is a Reconstruction Era Southern romance with equal helpings of sweet tea and tart lemon cakes. 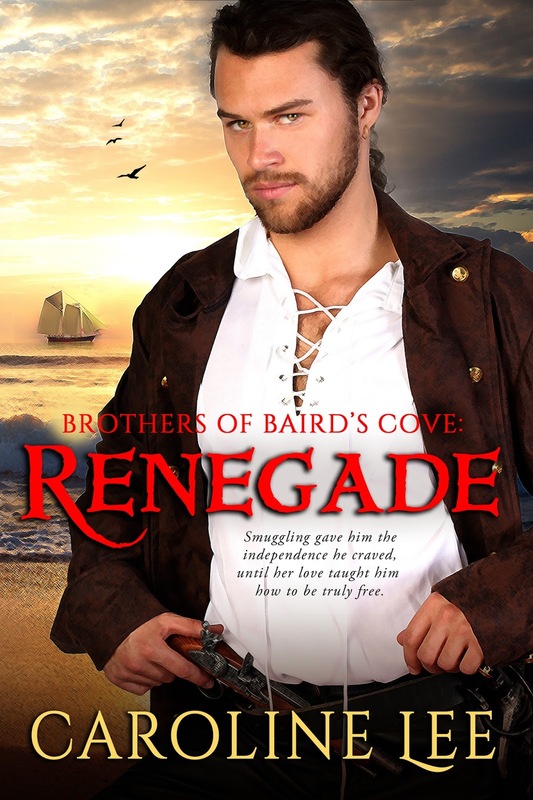 This first book in the Brothers of Baird’s Cove series follows a charismatic smuggler with authority issues who accidentally falls for a plantation owner’s daughter—and oh, the spicy romance, charming dialogue, and thrilling, heart stopping danger! This book has it all. If you’re a fan of Stephanie Laurens’ Cynster Series, you’ll swoon for the Brothers of Baird’s Cove. I do all my best plotting on the bow of a boat. There’s just something so freeing and thought-stimulating about watching the water fall away in front of you, and I’ve found that the rhythm of it really helps my brain skip around and make connections about the direction I want my current plot to go. Sometimes I’m just plotting scenes (dialogue comes naturally, for some reason, where you’re zipping along over the water), or sometimes I’m plotting an entire series. But no matter what I’m working on, I do it best when I’m staring at the waves and the distant shoreline or salt marsh on the other side of my gaily-painted toesies (I favor whites and bright pinks for summertime). 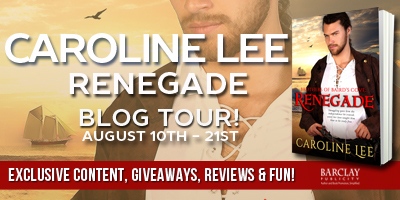 Most of Renegade was thought-out on the bow of a boat, so it shouldn’t be a surprise that the theme of nautical freedom is woven throughout it. I love the water as much as I love the land of my native Lowcountry, and I wanted my characters to love it too. My heroine, Becks, is deeply connected to her Sea Island home, and that includes the rivers and creeks. The book starts with her knee-deep in the spring river, her toes curled in the mud, crabbing by hand. Their first kiss takes place on that same river, during a deliciously sensual rainstorm, on a fishing trip. Being on the water is just part of Becks’ everyday life, and how she exerts her independence. But it’s the hero of Renegade, McKee, who got my love of boating. Mac has trouble with authority, and values his freedom more than anything else. He left home at seventeen to sign onto a steamship, and has been all around the world. Once he gained enough money, he bought his own schooner, and now shuttles rum (and a few other more illicit goods) from the Caribbean. He lives his life on his own schedule, and owning his own ship allows that. Mac’s need for independence is what feeds his love of sailing, and he’s built his life—and his identity—around that need. But Becks is deeply rooted in Edisto Island, and Mac is going to have to choose between the freedom of his past and the opportunities of a future there on the island. It’ll take a woman like Becks—a woman who values her independence as much as he values his—to prove to him that he can give up smuggling without giving up his freedom. But can she prove that there’s a special kind of freedom that comes from loving a place enough to tie yourself to it? 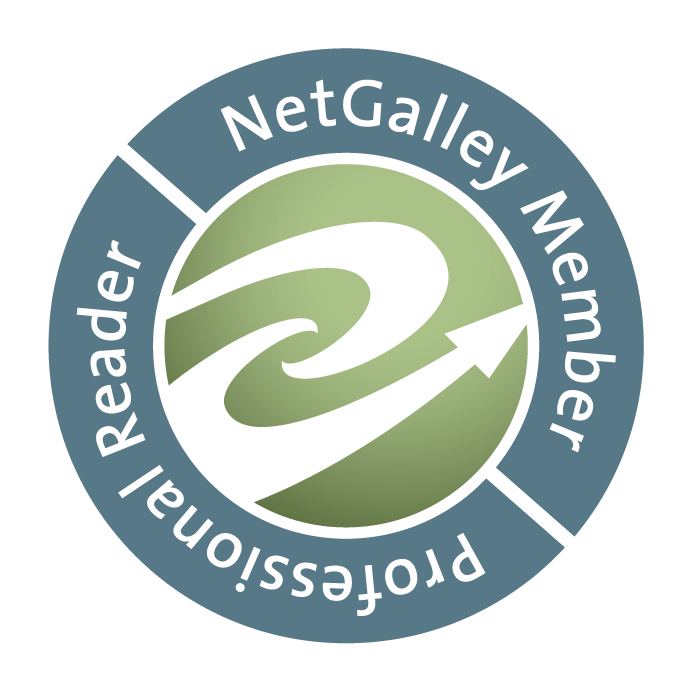 Renegade takes place twelve years after the end of the Civil War, and one of the central themes is the value of freedom, and the different kinds of freedoms we find in our lives. So it shouldn’t be any surprise that most of it came to me while I was hurtling along the rivers and creeks of Edisto Island, on the bow of a boat. Because there’s no other freedom in the world quite like that one. 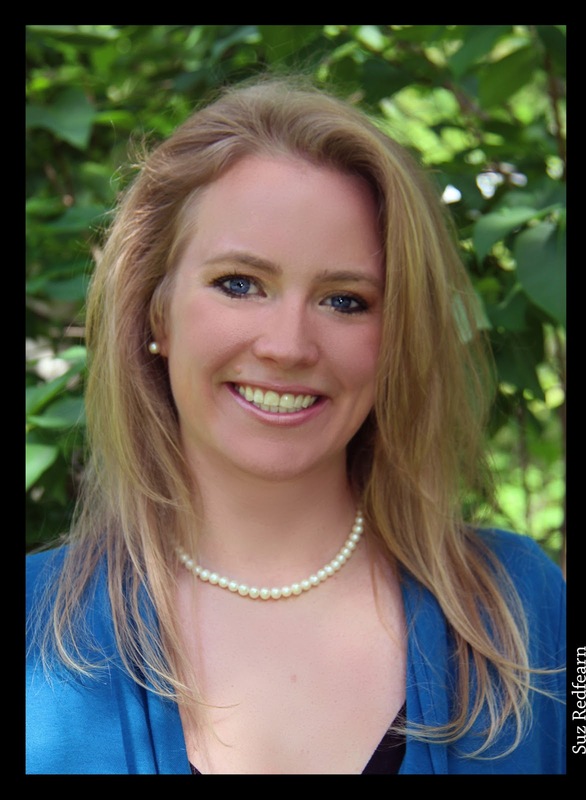 A love of historical romance prompted Caroline to pursue her degrees in social history; her Master's Degree is in Comparative World History, which is the study of themes across history (for instance, 'domestication of animals throughout the world,' or 'childhood through history'). Her theme? You guessed it: Marriage throughout world history. Her favorite focus was periods of history that brought two disparate peoples together to marry, like marriage in the Levant during the Kingdom of Jerusalem, or marriage between convicts in colonial New South Wales. She hopes that she's able to bring this love of history-- and this history of love--to her novels. Caroline is living her own little Happily Ever After with her husband and sons in North Carolina.